The original Alien is back! 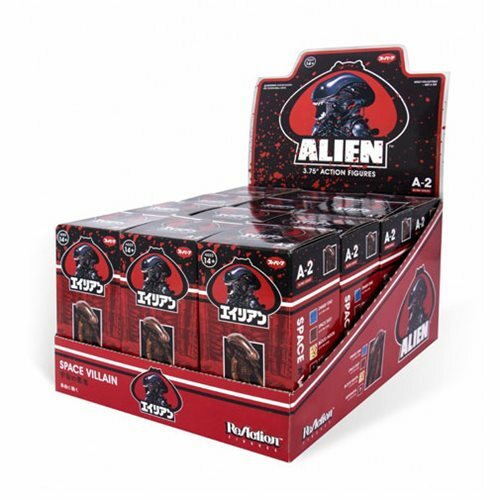 Based on an unproduced Kenner design from 1979, the Alien Blind Box 3 3/4-Inch ReAction Figure comes in 4 different styles - but they're packaged in Popy-style boxes, so each one is a fun surprise! Will you get metallic blue aliens, brown aliens, blood-splattered white aliens, or the mystery Xenomorph? It's all a fun surprise! Inner box includes 12 individually boxed figures. Ages 14 and up.